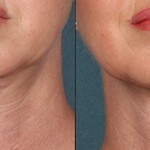 MDSkin® – The Lounge is proud to offer the most innovative treatment for your double chin. Approved by the FDA in 2015, Kybella® can effectively reduce fat with a series of injections. We are honored to be selected as the injection training center for other physicians in Arizona. 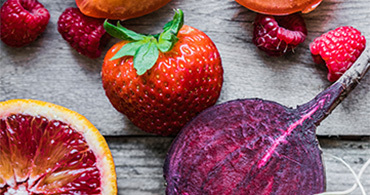 Kybella is a synthetic form of deoxycholic acid, a naturally occurring molecule in our bodies, which works to break down and absorb dietary fat. Kybella is an injectable used to treat moderate to severe fat in the chin. How long does the Kybella procedure last? Kybella treatments vary from patient to patient, depending on the amount of fat that needs to be eliminated. Most patients will receive treatment over a duration of six months, with treatment spaced at one month apart. During each visit, you will receive a series of injections, which take about 15 minutes. What are some benefits of Kybella? 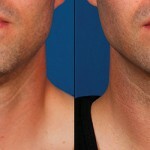 Patients have seen results that include a defined jawline and reduced laxity in the skin. 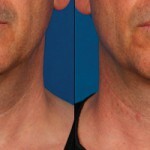 This is a great alternative to liposuction for removing moderate fat in the chin.